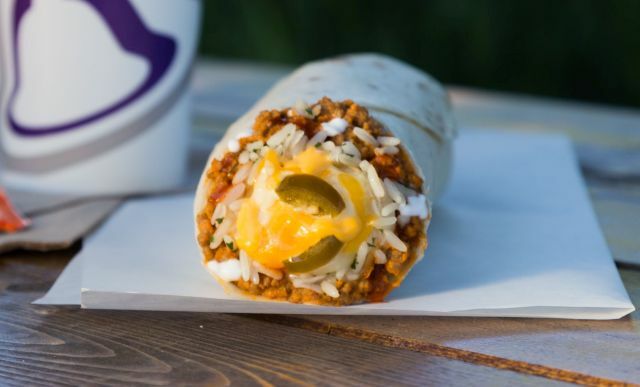 Cheesy Core Burritos are the latest new menu item at Taco Bell. The new dish features a burrito wrapped around a core of melted cheese. The Crunchy Cheesy Core Burrito includes a burrito filled with seasoned beef, Latin rice, red sauce, and reduced-fat sour cream plus a center of three-cheese blend, nacho cheese sauce, and corn tortilla strips. 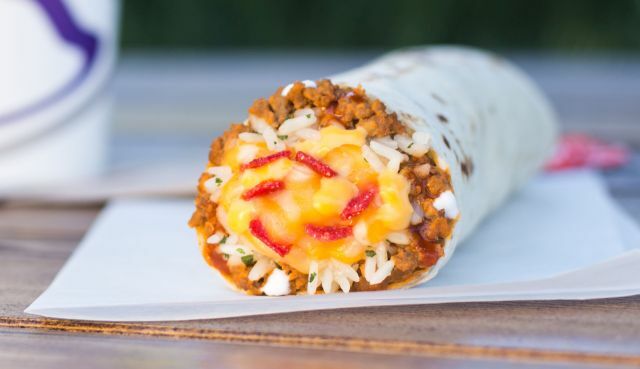 The Spicy Cheesy Core Burrito features a core of three-cheese-blend, nacho cheese sauce, and diced jalapenos surrounded by the same combination of seasoned ground beef, Latin rice, red sauce, and reduced-fat sour cream. If they seem familiar, they were spotted in test earlier this year in March, when I likened them to a reverse Quesarito. They're also a little like a Cheesy Roll-Up inside of a burrito. You can find both burritos for a limited time through mid-September at Taco Bell restaurants nationwide. Both carry a suggested price of $1.99.